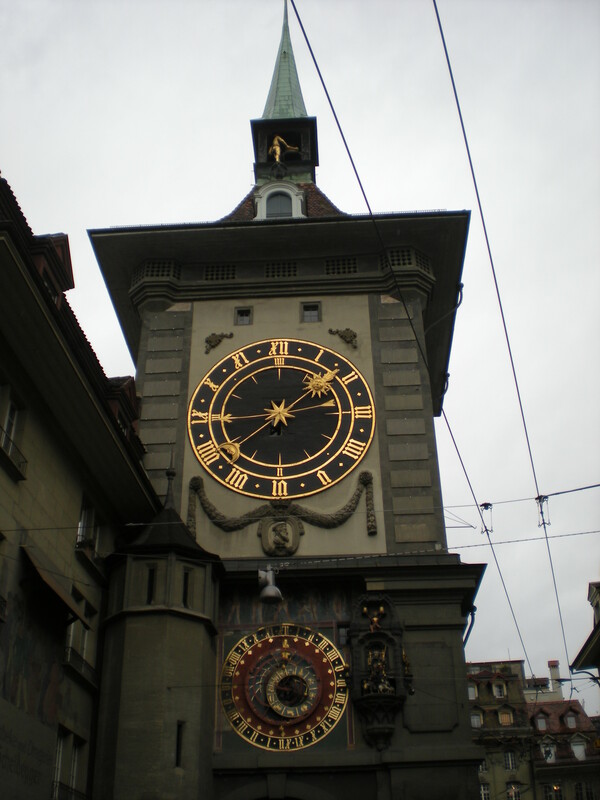 After the market we saw the Clock Tower (Zytglogge) well it’s not so much of a tower but it’s beautiful . We also went into the Cathedral of Bern (Das Berner Münster) which is the largest church in Bern. It’s is now a Protestant church but clearly use to be a Catholic church prior to the reformation. The next stop was the Rosegarten. It was really something. Most of the flowers were in bloom even though it’s October. Up near the top of the garden was a fountain with water lilies. And the part that topped it off was a kitten wandering around looking to be pet by tourists and locals. So we gave him so much deserved love. We headed back down into town and wandered the streets looking into all of the different shops. There is a nifty hat shop that caught my eye. I plan on returning there before I leave. Of course I expect the prices to be out of my budget. Good eye candy though. We got home just in time to miss the rain. Which is great. It had been raining all week. I’m surprised we had a sunny morning. 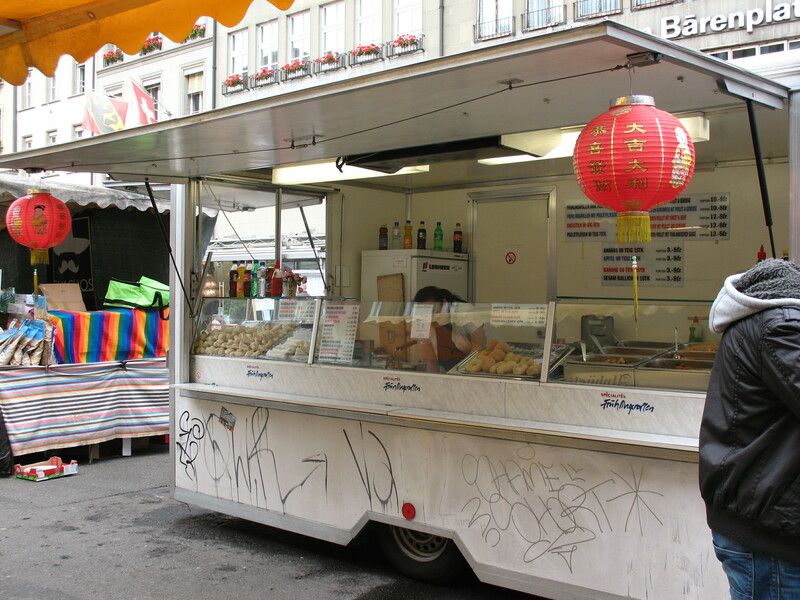 Sunday we took the train to Bulle and transferred to a mini train to get to Broc. 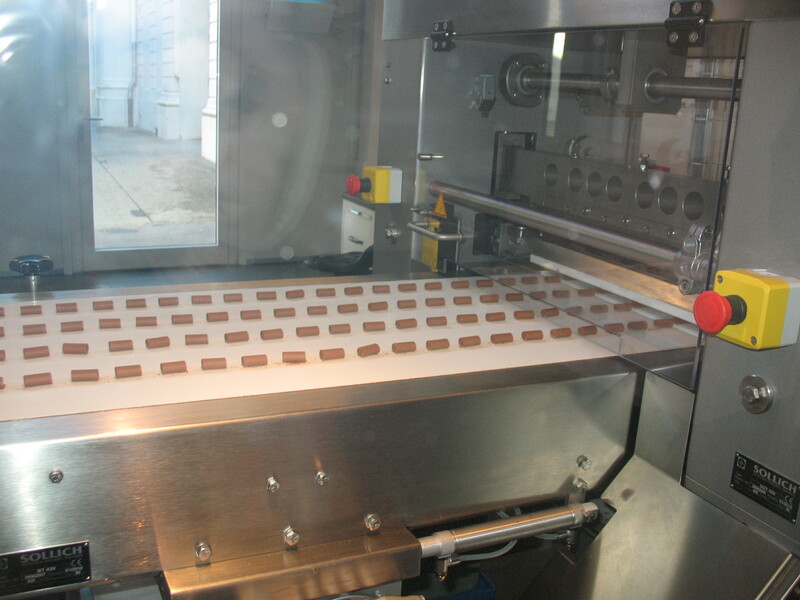 In Broc we went to Caillier, a chocolate factory. It was very reminiscent of Willy Wonka. And of course we took a tour of the facility! 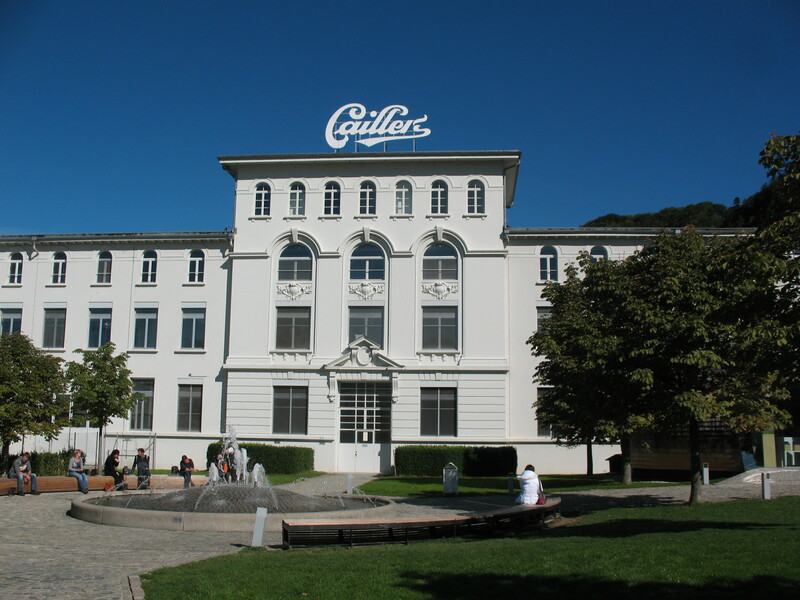 The first half of the tour led us through the history of chocolate, the history of chocolate in Switzerland, and the development of Cailler. This part was animated and were were guided from room to room by means of an audio recording. During the second part we handled cocoa beans, hazelnuts and almonds. The room smelled so delicious. Next we got to see a candy machine. My favorite part of the machine was the robot that used image processing to pick out the good candies from the bad. The “bad” candies were those which were stuck to eachother. My question is… What do they to the these “bad” candies. Luck for us, we got to eat the freshly made chocolates from this magical machine. The last room was the tasting room. The factory had pieces of most of their chocolates laid out on plates. We walked around enjoying each type. Some people would only take one sample per tray… Problem was the fact that there were multiple types of candy on each plate!! So Matt and I had one of each kind (I did refrain from white chocolate and caramel). Matt would eat the entire candy. I, on the other hand, had a habit of eating half of the chocolate and putting the other half in my pocket. It was quite cold that day and I had a napkin so there were no messy pockets! My chocolates made for a great snack through out the day. After we reluctantly left the tasting room, we searched for our favorite chocolate pieces in the store. We walked away with four bars. Nommy. Less then a week later and we only had about 2 bars left… Oops! We took the small train back to Bulle and then took an equally tiny train to Gruyere. This city is well known for it’s castle and cheese factory. While we did not tour the factory, we did walk in. So cheesy! hehe. The factory smelled really good. 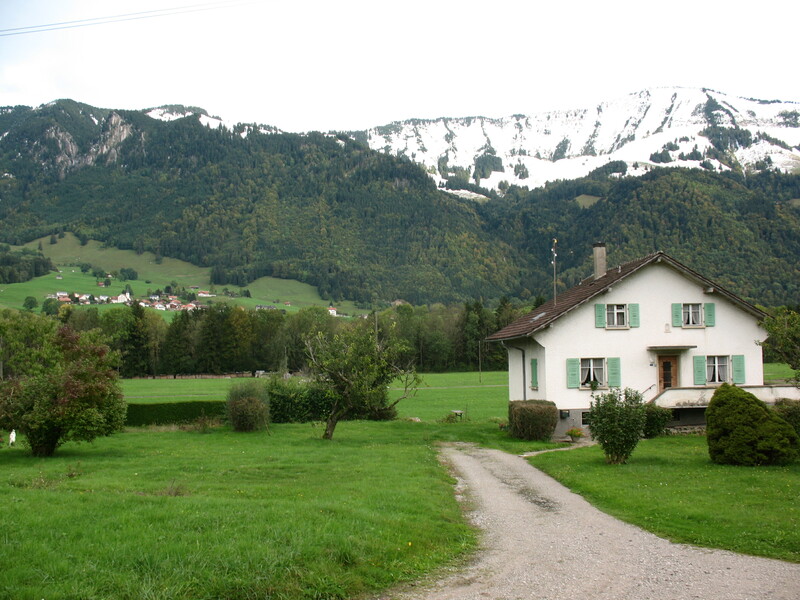 Before approaching the Chateau de Gruyeres we saw a few things… Cows!! 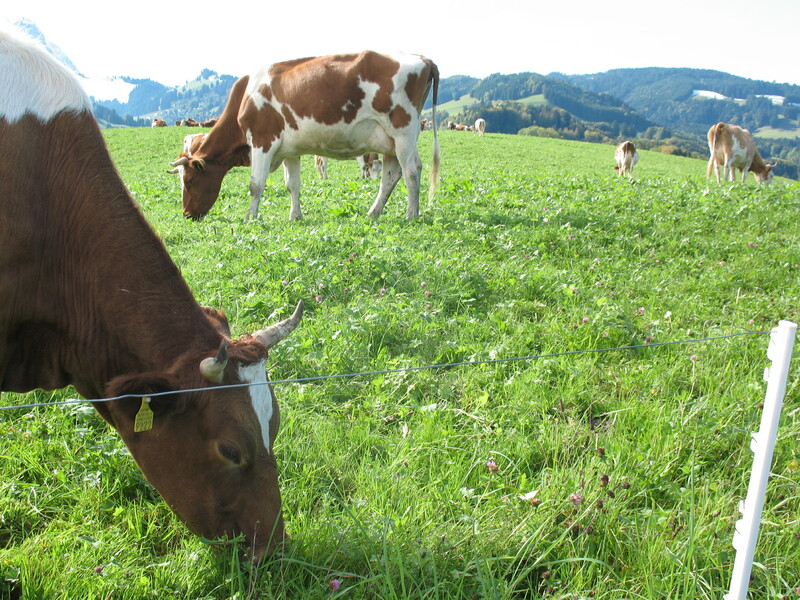 Of course Switzerland has tons of grazing land. But we had the opportunity to see the cows up close and personal. Several of the cows had bells on their neck and wreaths on their their head. Then there was the Medieval Town of Gruyeres. Beautiful architecture. After several pictures of the town and people (of course!) we made it to the castle. After we bought our tickets we went to see a film about the museum for “free.” The theater gave you the option to watch the film in any language you want. They had several boxes with headphones for every language in them. After grabbing headphones, we proceeded to our seats! The show was a lot more fancy then I expected. It was a triple screen (aka widescreen) with a screen above the main one. During the show the theater mimicked lightening, thunder, stars, etc. Bonus points for the jester who was our narrator. During the film we learned about the history of the castle. After the show we were left to explore on our own. Each room was numbered so it was easy to ensure you saw every room available. The castle was beautiful. 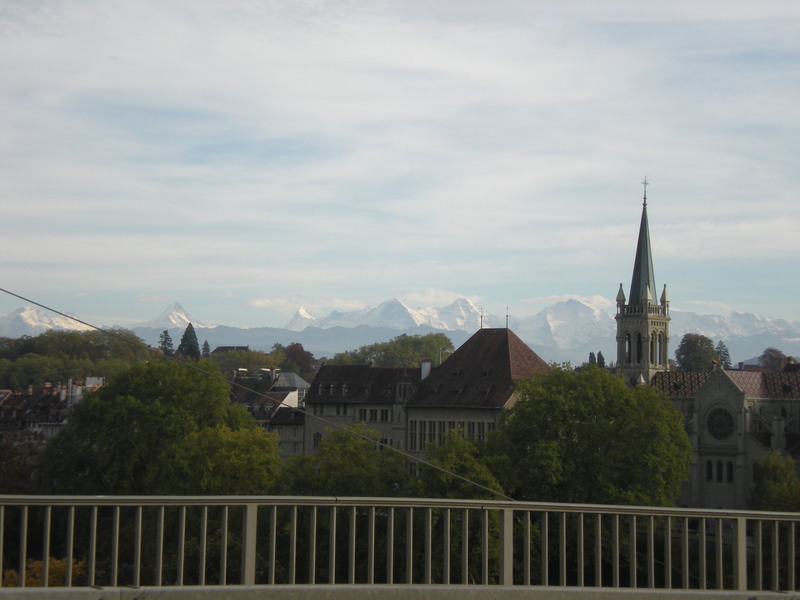 There were great views of the city, mountains and other villages. The castle was quite fantastic minus one little thing…. There was a group of annoying kids (4/5 boys) that ran around the ancient castle like it was a playground. It was as if the parents were unconcerned about the heathens breaking antiques or bothering visitors. I was able to snag a shot of them… at the same time I got to see another rowdy group throwing rocks at each other. There must of been something in the water. After the castle we were hungry but we knew we could get food in Bulle. Well that didn’t happen… We got on the wrong train! We ended up in the middle of nowhere for about an hour. Plus side was the middle of nowhere was stunning. We were closer to the mountains with a quaint house across from the tracks and a small village nestled faraway on the hillside.